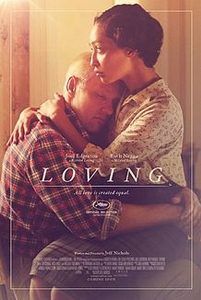 Jeff Nichols resists overwrought dramatics and sweeping Hollywood emotions in Loving, the writer-director’s take on the case that ended U.S. anti-miscegenation laws. 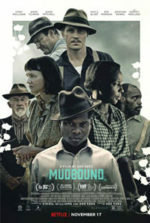 The true story follows Richard and Mildred Loving, an interracial couple who, after their marriage, endured bigotry and banishment from the state of Virginia. Their case eventually went to the Supreme Court, but Nichols avoids a standard courtroom drama setup as another, more straightforward filmmaker might. Instead, the film settles into the private, restrained love shared between his two central characters, played by Ruth Negga and Joel Edgerton. Atypical though Nichols’ approach may be, Loving is less captivating than reservedly steadfast, just as its characters are, settling the viewer into a hushed story that booms with modern day relevance. A graduate of the University of North Carolina School of the Arts, Nichols follows the likes of Terrence Malick and David Gordon Green in his meditations on the American South. Unlike his predecessors, though, Nichols often introduces an explosive element into his pictures. Shotgun Stories (2007), Take Shelter (2011), Mud (2012), and especially this year’s Midnight Special each seem like meandering efforts that have a measured tempo, until some element in the story brings the characters to a point-of-no-return. Such is not the case with Loving, which maintains its deliberate pacing from the early scenes of rampant discrimination to the momentous verdict of Loving vs. Virginia in 1967. Nichols seems more interested in the Lovings themselves and creating screentime within their easygoing, not-much-for-words marriage. Loving begins in 1958, when Richard (Edgerton) proposes to Mildred (Negga) after learning of her pregnancy. Despite the timing, there’s nothing obligatory about the proposal; he’s already happily purchased a plot of land near her family’s residence for their future home. All too quickly after their marriage, which must take place in Washington D.C. due to lingering anti-miscegenation laws in their backwoods Virginia home, locals led by a villainous sheriff (Marton Csokas) working on a tip—possibly from a member of the black community, which warns Richard “should have known better”—raid the Lovings’ home and throw them both in jail. A plea bargain allows them to stay together, but they’re forced to move out of the beloved country and into the city. If they return to Virginia to see their families, they’ll be arrested due to an unjust law. But with the Civil Rights movement in the 1960s, the Lovings receive assistance from the ACLU and eventually take their case to court. Both Edgerton and Negga deliver subtle performances that capture the internal emotions of Richard and Mildred. Behind rotten teeth, bleach-blonde hair, and a mumbling voice, Edgerton’s turn as Richard is a complicated portrayal that does not proclaim itself through external or exaggerated proclamations. The actor remains an expert at the nuances of his inward characters, as evidenced in The Square, Warrior, and The Gift. Negga, a relative newcomer best known for a recurring role on Agents of S.H.I.E.L.D., announces herself as a major talent with her performance, approaching every scene with Mildred’s shaky uncertainty of her status in a culture that devalues her. Negga’s large eyes show Mildred’s dissatisfaction with their life in the city, but also a vital joy when there’s hope for something better. While Nichols’ approach avoids a boilerplate structure for a courtroom drama or socially relevant issue film, he could also be accused of pulling too far away from the traditional. 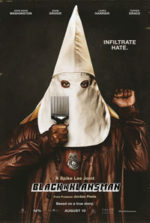 Loving does not contain grandiose speeches or due comeuppance for the racist sheriff, nor do the Lovings’ attorneys (Nick Kroll, Jon Bass) make important, soapboxing pronouncements about the injustice of keeping such laws alive (aside from a scene in which Bass declares, “You realize this could alter the Constitution of the United States”). Nichols provides something far more intimate and personal, though not necessarily enthralling or easy to engage with. 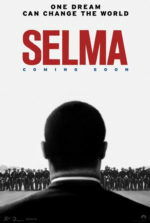 His approach is admirable and refreshingly different than recent Civil Rights pictures such as Selma or The Butler, and his film would probably be lesser had he gone a more traditional route, but the viewer may appreciate Loving more than they enjoy it. Though Loving may resist emotional fireworks, its style contains all the modest and unexpectedly profound beauty of a sparkler. Shot by Nichols’ longtime collaborator Adam Stone, the somewhat muted lensing captures the sixties period and the rustic simplicity of the South, which Richard and Mildred so adore. Recurring scenes of Richard working as a bricklayer or Mildred tending the household place the audience in a comfortable ease with the Lovings’s way of life, as Nichols does a fine job of entering the viewer into their reticent, relaxed existence, making the few interruptions of their contented lives all the more jarring. Delicate and powerful, Loving shows a confident filmmaker approaching a socially commanding story with tempered control, and the result’s style is perhaps more affecting in theory than in practice.